Exophthalmia, also known as Popeye, is a type of disease in which the eyes of a fish will bulge out, and will appear cloudy or white. It may affect one eye or both simultaneously. It results from swelling which occurs when fluid from tissue leaks into the area at the rear of the eyeball. Pressure grows due to the increase of fluid which pushes the eyes outward. Popeye disease usually results from frequent exposure to unhealthy water. Ponds, aquariums and water gardens require regular maintenance to ensure optimal water quality and when this doesn’t occur the water conditions will deteriorate, leading to both this disease and other afflictions which adversely affect fish. Popeye disease also seems to affect fish that live in conditions which are too crowded. However, the underlying causes of unilateral Popeye (one eye) may differ from bilateral Popeye (two eyes). 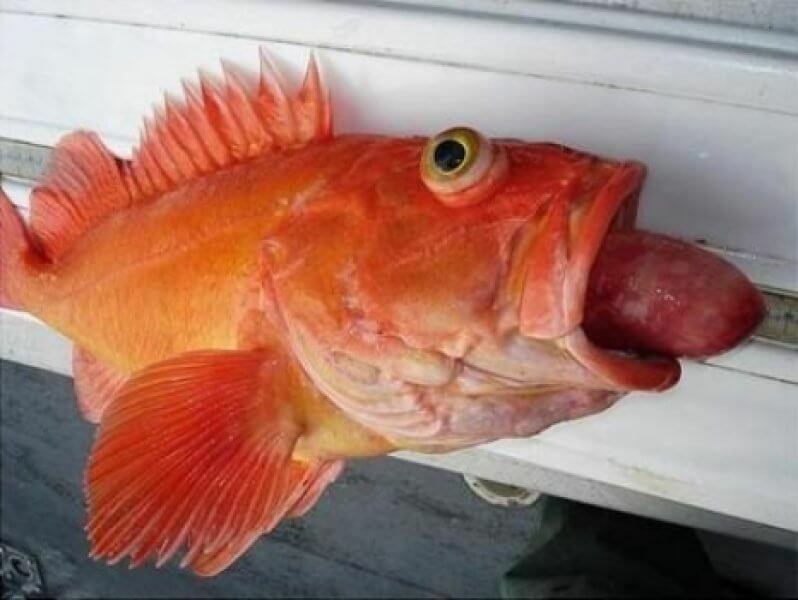 Unilateral Popeye often occurs in fish which have been injured, either due to improper handling, swimming into solid objects, or aggression on the part of other fish. This disease is challenging to overcome because it encompasses multiple problems. The eyes of a fish, as is the case with other organisms, are extremely sensitive. Once the cornea has become damaged, fixing it will be difficult at best. The collection of fluid behind it also sets the stage for a bacterial infection. If the damage to the cornea is only minor, it can heal on its own given the water has been cleaned and the fish is eating a diet rich in vitamins. In this case the swelling will go down, and Epsom salts can be used to further reduce it. Between one and three teaspoons of Epsom salt for every 5 gallons is most optimal but should be performed on fish that have been quarantined from the main aquarium or pond. Some fish owners also use antibiotics to prevent the cornea from sustaining further damage due to bacteria. Once full blown Popeye disease is present medications will be mandatory, particularly those which are designed for infections which are systemic or internal. This medicine will usually be put in food as opposed to distributed in the water. Those who recognize and respond to Popeye disease soonest have the greatest chance of helping their fish overcome it. After treatment it can take months for the swelling to be reduced, and even longer for the cornea of the fish to heal. In fact, depending on the extent of the damage, the cornea may never heal one hundred percent. In the worst case scenario, the swelling can become so severe that the eye will actually fall from the fish. The fish will obviously be blind in that one eye, but it won’t be incapacitated. Perhaps the biggest danger of Popeye disease is that it causes stress in fish that can result in a whole host of other conditions, which is why it is so important to keep your pond or aquarium water as pristine as possible.